Call it the Netflix or Hulu effect, but new research out of the US has shown how traditional TV watching has plummeted over the past six years by young Americans. 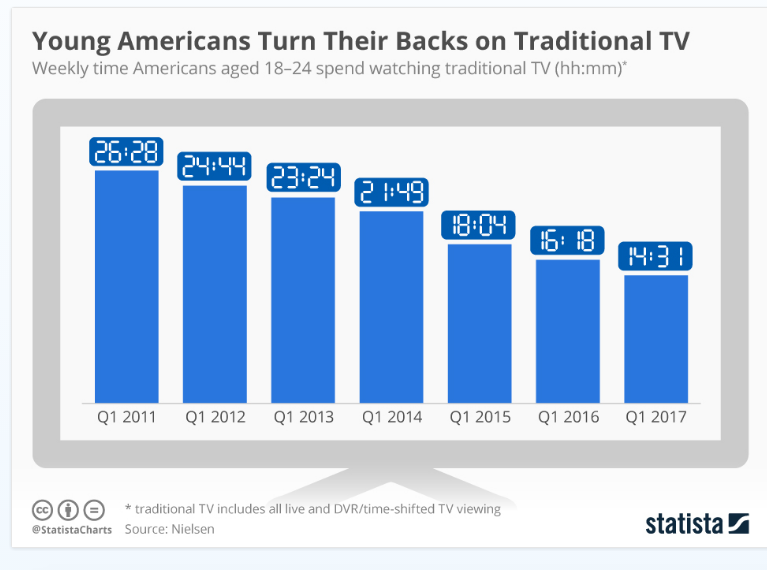 As the chart below from stats marketing firm Statista shows, Americans between 18 and 24 years old have culled some 12 hours a week from their traditional viewing habits from 2011 until 2017. The average Gen Y in the States now only watches 14 hours and 31 minutes of traditional television per week.